I’ve had quite a few songs stuck in my head lately, most of them from the 1980’s: “If I Could Turn Back Time” by Cher and “Love Walks In” by Van Halen are frequent guests in my head. I’ve also had “Come Sail Away” by Styx and most of the soundtrack of Wicked playing in my head. No reason to tell you that. I just wanted to see if I could get any of those songs stuck in your head. I’m evil that way. You’re welcome. Onto Day Three of the Ten Day Book Challenge, as nominated by my cousin Matthew. Let’s go over the rules one more time, shall we? 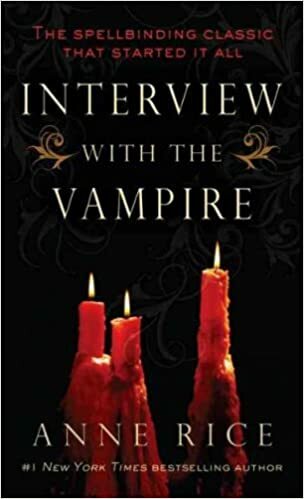 So for today’s book, I thought I’d talk about another important book in my development as a writer, Interview with the Vampire by Anne Rice. Interview was another revelation in the power of words for me. I already knew how words could bring worlds and the people in them to life, but this book (and its sequels) not only painted them into being, but their thoughts and their outlooks on life. It was psychological storytelling before I even knew what psychological storytelling was. Interview, in particular. The novel follows Louis, a young man in the midst of depression and grief, become a vampire and then reluctantly going through his immortality, encountering companionship, pain and loss over the centuries. Not to mention, these were vampires well before they were sparkly and insipid. They were human, in their way, but they were also dark creatures. And they’re still hugely popular today, whereas Twilight has come and gone. Hell, Anne Rice is still writing books in the series, with its thirteenth book on the way out in November. And now there’s a TV series in development based on the books over at Hulu! I can’t wait to see it. That says something not only of the characters and the author, but of the power of the stories being told. Of the words bringing them to life. And if you haven’t encountered Anne Rice’s vampires, give yourself the Dark Gift (so to speak) and check them out. And now to tag someone. Today I’m tagging my friend Ruth Ann Nordin. Hope you’re able to do this, Ruth. I look forward to seeing what books you choose if you are able to do this. I see it! Is it okay if I just do one book for this, or do I have to pick ten? One per day for ten days. 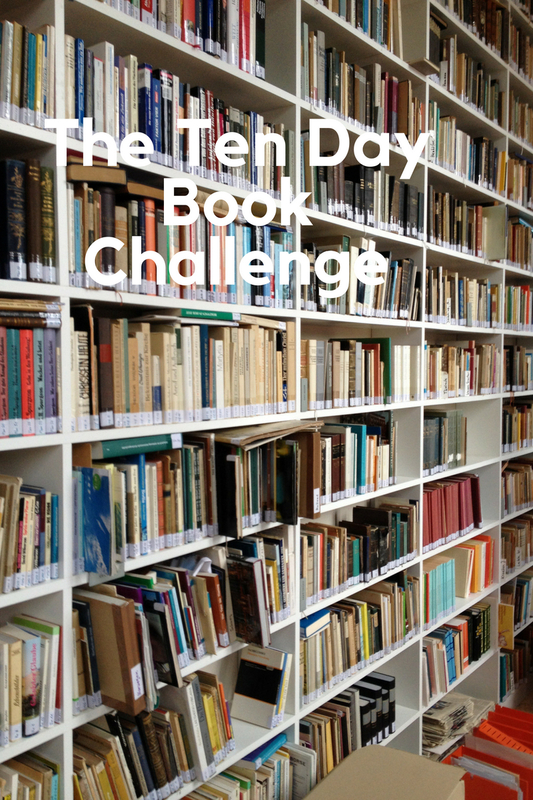 Otherwise, it’s not the Ten Day Book Challenge. But if you don’t want to, that works too.